Pliolite based reinforced, flexible, micro-porous coating with excellent self cleaning properties. Part of the Asipo system. To form a barrier within the plaster to prevent mould spores from reappearing. Part of the Asipo system. To seal the surface and prevent stains coming through decoration. Normally a special order only item. A superior water-based decorative emulsion for external use. 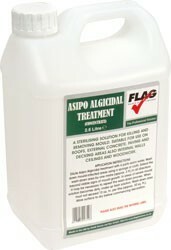 Provides long term protection against mould and algae. Normally a special order only product. Non-silicone based, single pack solvent-borne protective coating. Clear coating used to seal external masonry areas. Proven effective to stop water penetration. Provides long-term protection against surface contamination by air-borne spores. 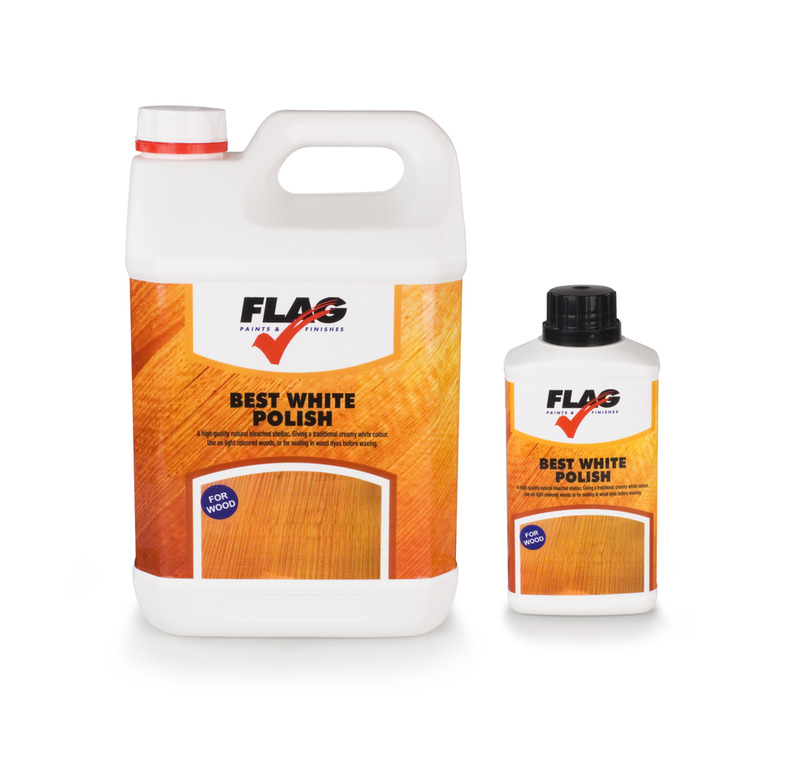 Manufactured in the UK by FLAG Paints Ltd.
Made from bleached shellac but still contains the natural shellac wax, giving it a traditional creamy white colour. 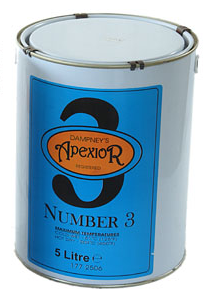 This polish is for use on very light coloured woods or for sealing in wood dyes before waxing. Manufactured in the UK by FLAG Paints Ltd.
Black bitumen is based on a high quality bitumen that's dissolved in a special blend of petroleum solvents. 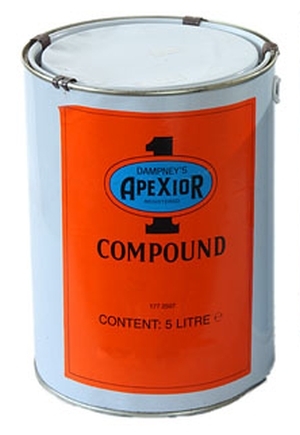 It provides excellent protection against anti-rust, waterproofing and has good resistance to diluted acids and alkalis on a wide range of materials especially iron and steel. Conform to B.S. 3416:1988 TYPE 2 Use for protecting and preserving iron and steel fabrications, iron castings, timber, concrete. Including rainwater pipes and guttering, railings, corrugated iron sheets, roofs, manhole covers, storage tanks, pipe work, piling, concrete posts and fencing. Car, caravan and vehicle chassis work. Agricultural buildings, barns etc. 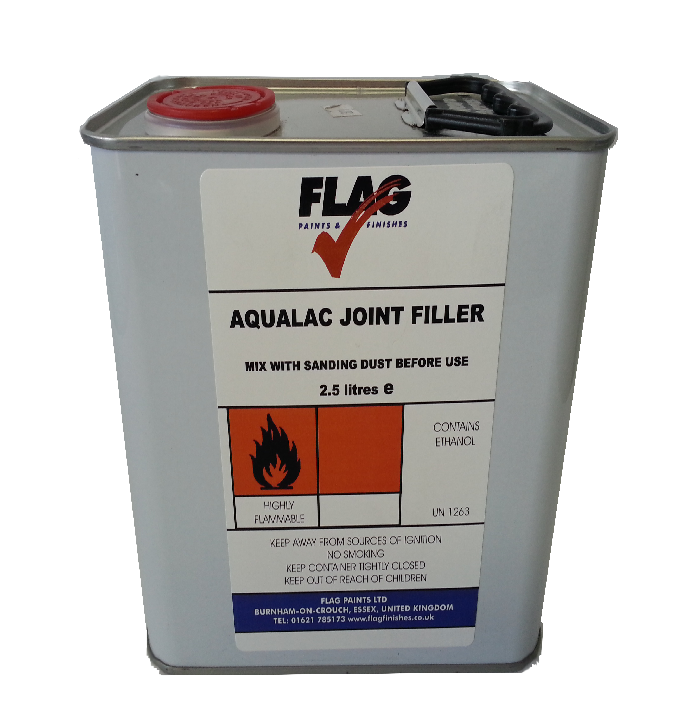 Suitable for drinking water tanks, interior and exterior if used in accordance with B.S. instructions. 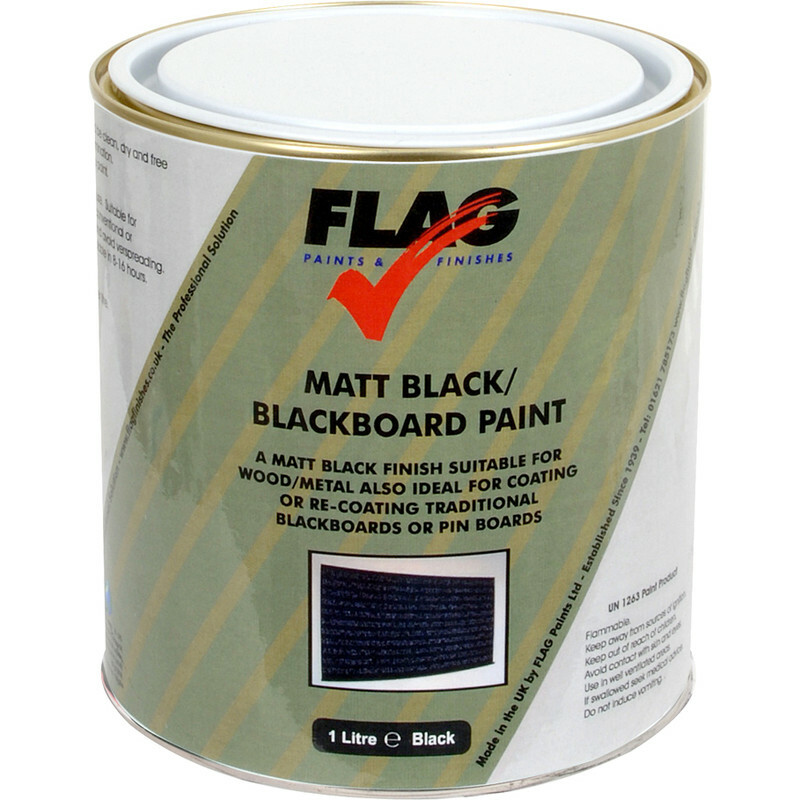 Manufactured in the UK by FLAG Paints Ltd.
Black polish for staining and french polishing furniture. Normally a special order only product. A natural vegatable oil similar to raw linseed oil but with drying qualities. Used for feeding dry wood or for sealing unglazed terracotta tiles. Manufactured in the UK by FLAG Paints Ltd. Heavy duty brushing quality French polish for uses on small areas where conventional french polishing proves to be difficult. Manufactured in the UK by FLAG Paints Ltd.